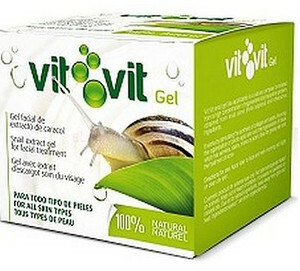 Facial cream with snail extract. Vit Vit snail gel is a natural complex formulated from a high concentration of regenerative and reparative proteins obtained from snail slime (Helix Aspersa) and other active ingredients. 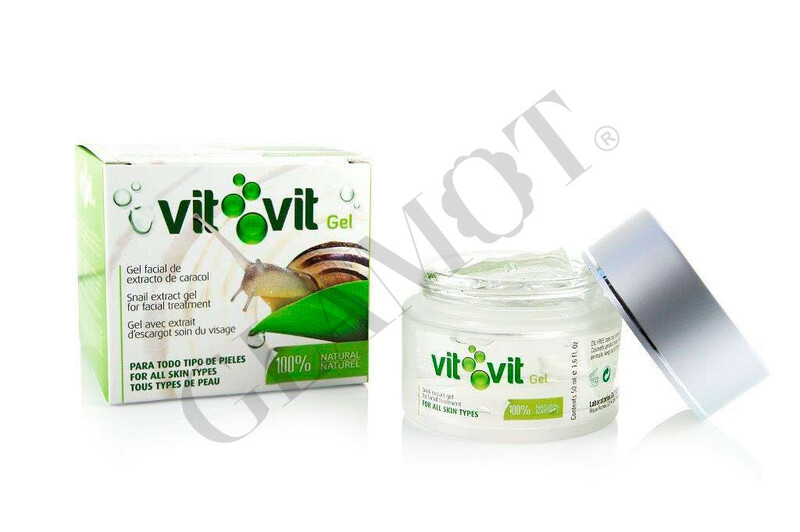 It works by stimulating the synthesis of collagen and elastin, favoring the regeneration of photo aged skin and the regeneration of the tissue which has wrinkles, stains, marks or scars. Ideal for greasy and the treatment of acne. Apply daily to face and neck morning and night on clean dry skin.